I don't mind running in sports like basketball or soccer, but I used to hate just running long distances often because I couldn't last for longer than 5 minutes. However, I've always had an admiration for those who could do marathons and thought how awesome it would be to run longer than... well, 5 minutes. 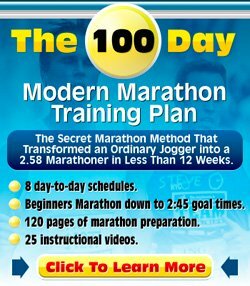 My roommate and I had also talked about wanting to get into better shape and we've both heard that running is great for that so I started looking for a running program when I stumbled across this site. We both liked how it started out super easy (I mean, a 10 minute walk is a cinch) and slowly built it's way up so we decided to try it out. The slow build was great. We followed the program to a T (ie. every other day, lots of stretching afterward, etc) and didn't run into any problems. It really built our confidence in being able to run as well. Running our first full 30 minutes was awesome; we were both ecstatic that we had accomplished such a feat. The program itself is fantastic. However, what really helped me to keep going on was having someone to do it with. It's always great to have an accountability partner because there were so many mornings (especially near the beginning) when I didn't want to get up and go do it. Also, it's easier to know what conversation-speed is when you're actually in a conversation with somebody. The hardest part of the first few 30 min runs were at the 20 min mark where my muscles felt really tired and wanted to quit. After a few minutes though, I caught second wind and it was fine. Our next goal is to be able to do a 10k. There's an annual race in our city in Feb so we're going to work towards that. Thanks Dominique for a great running program! You've helped us, who couldn't run at all, to be able to run and discover joy in it.